Economic inequality in Brazil has reached extreme levels, despite being one of largest economies in the world. The last decades have seen incredible progress across Brazil. The country has been able to reduce inequality, taking millions of people out of poverty and thereby raising the base of the social pyramid. But despite this evolution, the pace has been very slow and the Latin American giant is still listed as one of the most unequal countries on the planet. 75 yearsAt the current rate inequality is decreasing in Brazil, it will take the country 75 years to reach United Kingdom's current level of income equality and almost 60 years to meet Spanish standards. Compared to its neighbors, Brazil is 35 years behind Uruguay and 30 behind Argentina. 19 yearsIn Brazil, someone earning the minimum monthly wage would have to work 19 years to make the same money a Brazilian from the richest 0.1% of the population makes in one month. 28 millionBrazil has lifted 28 million people out of poverty in the last 15 years, reducing poverty to less than 10 percent of the population. But the rich continue to benefit the most: between 2001 and 2015, the richest 10 percent accounted for 61 percent of economic growth. 2047At the current pace of progress, Brazilian women will close the wage gap in 2047. Black Brazilians will earn the same as whites in 2089. Brazil is decades away from wage equality. 6 vs 50%Brazil’s six richest men have the same wealth as poorest 50 percent of the population; around 100 million people. The country's richest 5 percent have the same income as the remaining 95 percent. 36 yearsIf Brazil’s six richest men pooled their wealth and spent 1 million Brazilian reals a day (around $319,000), it would take them 36 years to spend all their money. Mean while,16 million Brazilians live below the poverty line. Despite lifting millions of people out of poverty over the last decades, Brazil still faces a huge gap between the country’s richest and the rest of the population. Worse still, inequality threatens to reverse the progress the country has made in ending poverty. Current World Bank projections show up to 3.6 million people are expected to fall back into poverty this year in Brazil. That is why it is urgent to address some of the structural causes of inequality in Brazil, such as an unfair tax system or insufficient investments in social policies. 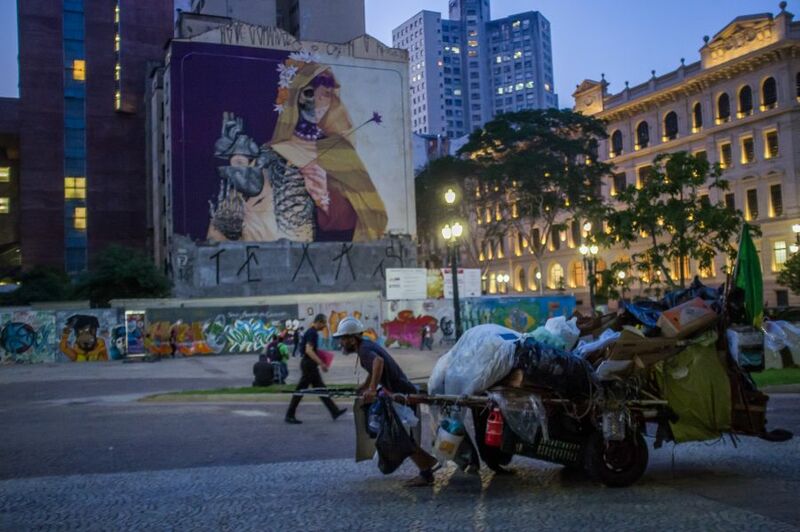 Economic inequality in Brazil has reached extreme levels, despite being one of largest economies in the world. The country has been able to take millions of people out of poverty but the current Brazilian context reveals that the achievements in this field are fragile and under threat. Thailla is a young member of the student activist movement in Sapopemba. The Brazilian federal government has approved a 20 year freeze on public spending, including education. This freeze risks increasing inequality and the educational divide in Brazil. Brazil is a continental-size country with 196 million inhabitants. After a steady period of economic growth, the country is now one of the largest economy in the world. Despite significant progress, it has a long way to go to become a more egalitarian society.